Booklet Style. Sized for booklets, packets or promo material to fit neatly inside. Windowless White Wove. 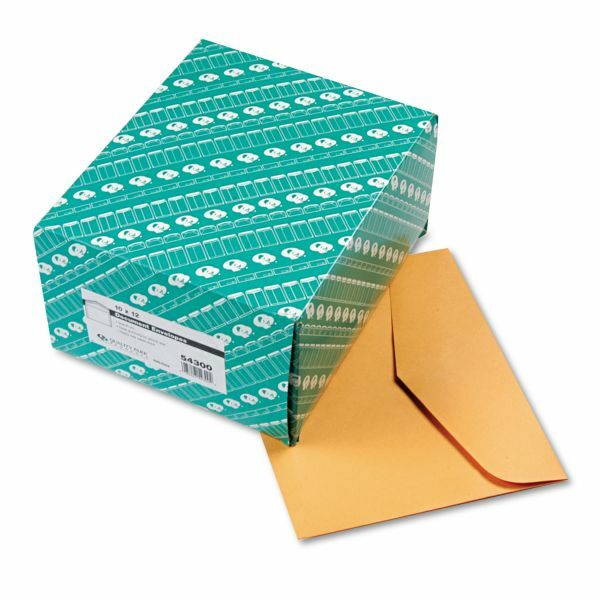 Keep the envelopes plain or utilize the windowless surface to print custom detailing and labels. Gummed Flaps. Moisten the solid gum adhesive for a secure hold. Quality Park Open Side Booklet Envelope, 12 x 10, Brown Kraft, 100/Box - Extra heavy-duty, document envelopes offer heavyweight construction for durability. Extra long flaps and extra deep gumming ensure a secure seal. Envelopes offer a 40 lb. paper weight.